If you are selling goods or services in the UK you will be expected to charge your customers Value Added Tax (VAT). This then has to be paid to the government via HM Revenue & Customs. In order to do this you must register with HMRC and be assigned a VAT registration number. At The Company Warehouse we can make the process simple and hassle free. Our online vat registration service works for all UK businesses including Limited Companies, Sole Traders and Partnerships. Running a business within the UK which is correctly registered for VAT, you will be expected to charge one rate of VAT or another depending on the goods or service you provide. Due to the recent budget, the standard VAT rate will be 20% from January 2011. There will be no changes to reduced and standard rates of VAT. Changes are also being made by HMRC which mean that any company making more than £100,000 in annual turnover will have to file their VAT returns online from April next year. If you are worried about overlaps in VAT because of the way your business is run, HMRC has a brief guide to help businesses with the VAT changes. As a VAT registered Company you will be expected to charge the standard rate of VAT for most of the services or goods you offer for sale unless they come under one of the other rates. This includes selling to staff, sale of company assets and other related sales. Between starting your business and registering for VAT you will still be expected to charge VAT and keep the appropriate records. 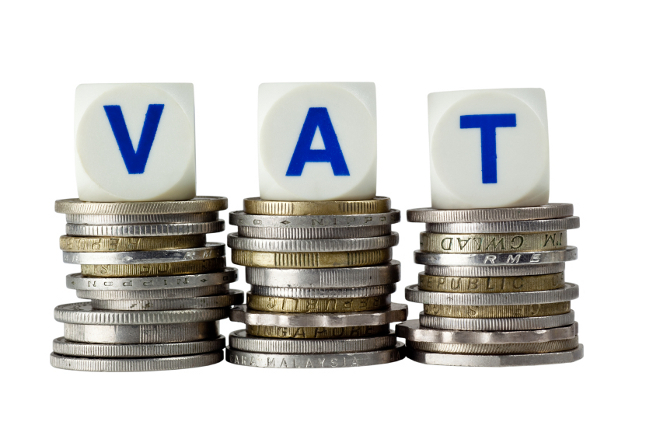 For certain goods or services provided by businesses, the government has deemed that a reduced rate of VAT will apply. For things like fuel supplies for domestic heating, children’s car seats, mobility aids for the elderly, products to help smokers quit (nicotine patches/gum), maternity pads and sanitary towels a reduced rate of 5% is to be charged instead of the standard rate. The HMRC VAT guide, gives a definitive list of which products/services apply to each rate of VAT. Some goods or services provided by businesses are deemed to be zero rated. This means that they are still technically chargeable for VAT but that rate is 0%. The list includes most foods, children’s books and clothing, advertising for charities, equipment for the blind and disabled people, aircraft and ship repair etc. If you provide goods or services in this area, you are required to declare the VAT even though it is charged at 0%. You may be able to recover VAT on services or products you have purchased in order to sell the zero rated goods or services. Some goods and services are wholly exempt from VAT and as such should not be charged for and cannot be recovered either. These include things like education services, insurance, medical services, burial services, some charity events and related servers, betting, gambling and the lottery and antiques sold under certain circumstances. When you register your business for VAT you will generally be able to recover any VAT you have paid for goods or services. In order to reclaim VAT from HMRC you must keep a valid invoice and receipt for each item. You can then reclaim the relevant amounts of VAT you charged on purchases relating to your business activities. If, in carrying out your business, you provide a mixture of goods or services which fall under the different rates of VAT, you will have to consider this when it comes to reclaiming VAT. In order to recover the VAT, you will need to send a VAT return to the HMRC usually every three months. Keeping your accounts in order is an important part of running your business. Our accountancy services are designed to help you with running your company successfully. Help from the professionals at low, competitive prices.